In trend terms, Daily RP Data indices show home prices continued to rise in the past week in Sydney and Melbourne while prices in Brisbane, Adelaide and Perth were broadly unchanged. Sydney continues to lead the pack with trend home prices up 11.5% y/y followed by Melbourne (+8.1% y/y) and Perth (+6.7% y/y). 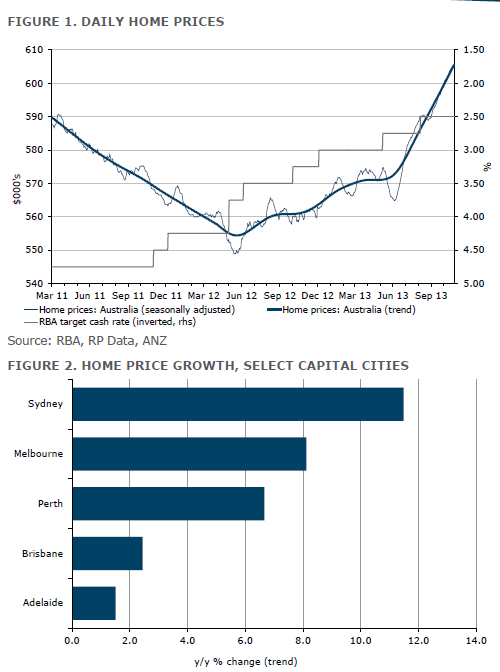 More modest gains have been recorded in Brisbane (+2.4% y/y) and Adelaide (+1.5% y/y). Auction demand and clearance rates remained solid in both Sydney and Melbourne in the past week. Sydney’s auction market continued to post the strongest clearance rate (81% in the week ending 27 October)while Melbourne’s clearance rate was high at 72.3% on a record 1,614 auctions. 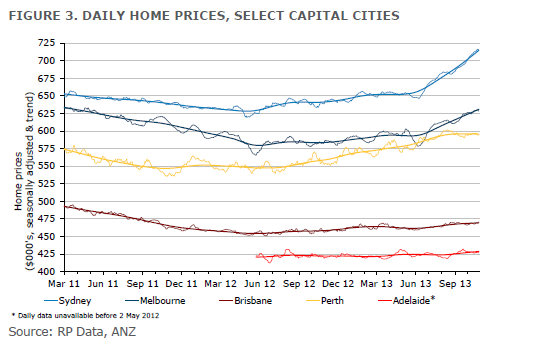 Of the other capital cities, Adelaide cleared 68% of auctions (on 103 reported auctions). 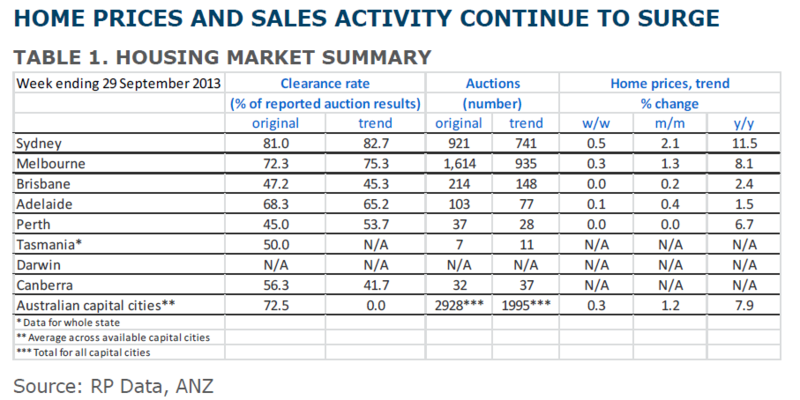 The number of auction sales has risen sharply with the trend number of cleared auctions at record highs. Auction sales have increased particularly strongly in both Sydney and Melbourne in recent weeks. 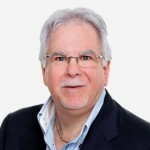 In trend terms Sydney and Melbourne are clearing around double the number of auctions compared to the same time last year. Elevated clearance rates and strong home price gains are expected to continue to drive solid sales levels in Sydney and Melbourne in the coming weeks.